← Twitter – time waster or valuable resource? 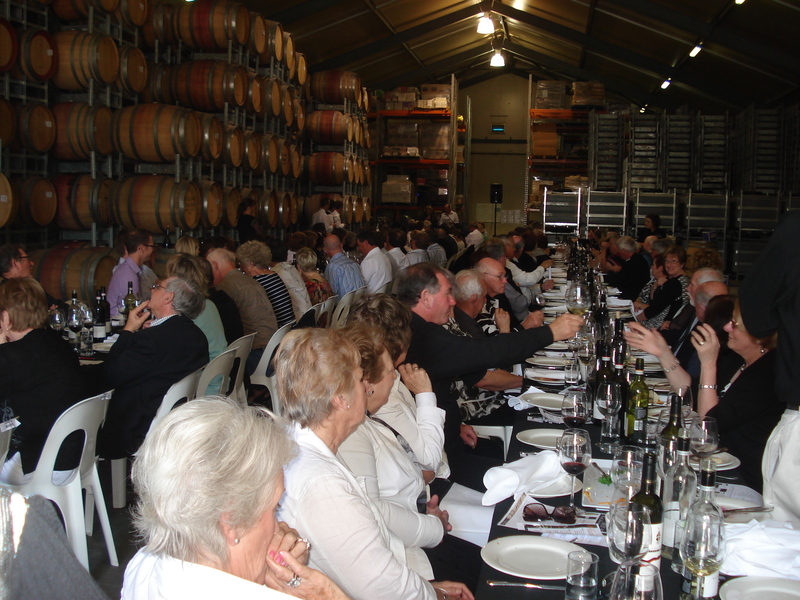 On a beautiful sunny day in Currency Creek, John Loxton, head winemaker at Ballast Stone wines, presented the winery’s ten latest vintages of shiraz at a lunch in the barrel room at the winery on 10/10/10. 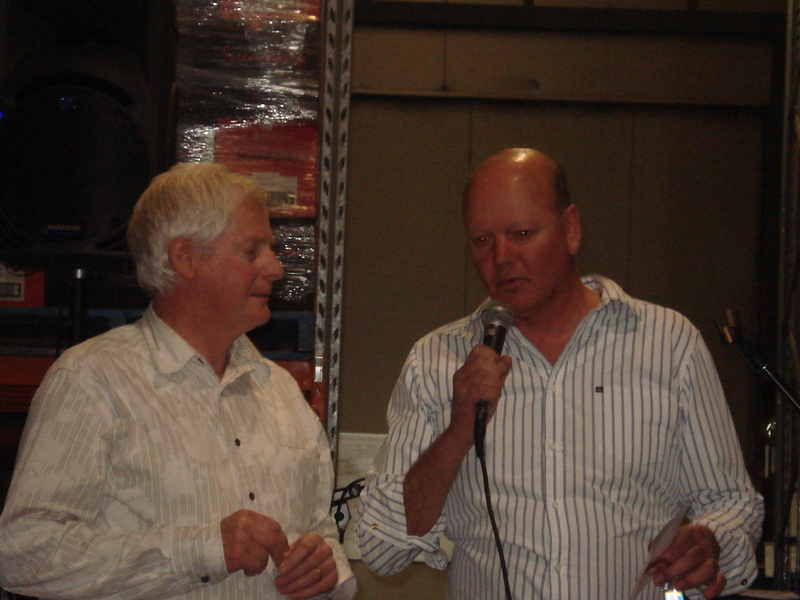 John Riddell of Channel 7 and Mix 102.3 hosted the event, attended by 150 or so guests. Tigchandler collected a few snippets of the entertaining commentary by the Johns. English-born, lived several years in Wellington, NZ, then in Adelaide, South Australia, and recently moved back to New Zealand. With an economics background, I have worked in researching wine consumption patterns, marketing, economics and social media at the University of Adelaide. I also worked a vintage and in wineries in McLaren Vale so have seen both the research/analytical side of the industry and the practical/hands-on side. I have retail experience and many ongoing industry links all around Australia and overseas. This blog reflects my ongoing passion for everything related to the wine industry. This entry was posted in McLaren Vale wine, New World wine, South Australian wine, Syrah/Shiraz and tagged Australian wine, Ballast Stone, Currency Creek, McLaren Vale, South Australian wine, Wine. Bookmark the permalink. Looking good, keep it up.